The Flashes IEFA Travel Football Team has returned to FC!! So that means we are on a hunt for 5th & 6th grade cheerleaders to form a Travel Cheer Team!!! The coach will be Kaylea Albertson assisted by Kristin Bruner, one of the FTYF Cheer Coordinators. Congratulations to the following Cheerleaders on making the 2018 Travel Cheer Team! You must be going into 5th or 6th Grade. You must attend the Tryout on June 18th & 20th from 6-7:30pm @ the Freshman Football Field. Please use the FC Softball entrance located off Indian Creek Road just past Kitley. 10-14 Cheerleaders will be selected for the Travel Team. If you are not selected then you will be placed on an Upper League Rec Team for the season. If you make the squad then an additional fee of either $40.00 or $30.00 will be added to your account. The cost of Travel Cheer is $160.00 and the Early Bird Discount does not apply. You will receive the following: Cheer Uniform (Shell, Skirt & Boy Shorts) with Crop Top, Bow, Poms, Socks, Team Bag, & Warm-Up. You will need to provide white cheer shoes. We will pick out the shoes and send a link for you to purchase them. All cheerleaders will have the same cheer shoe. This will cost around $20-$25. Cheerleaders will cheer for both A & B Games - 4 Home Games, 4 Away Games, Plus Playoffs. This commitment does involve traveling & parents will have to pay to get into the Playoff Games only. The regular season games should be free admission & cheerleaders will not have to pay at any game. Season runs August - October with practices starting in July. Practices will be held at the FTYF fields. Practice starts July 16th - 19th 6-7:30pm then the following week we will start Mon & Wed practices 6-7:30pm for the rest of the season. Cheerleaders will attend the FTYF Cheer Party on July 28th from 2-4pm @ the FC Freshman Cafeteria. 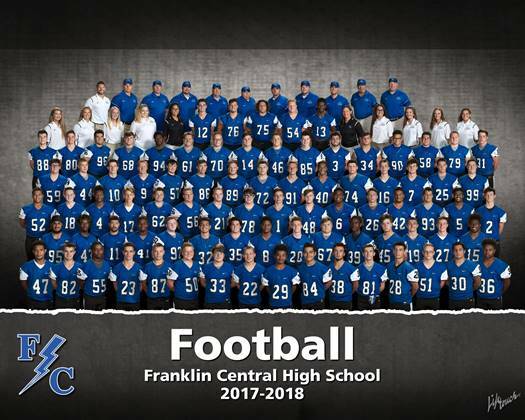 Cheerleaders will attend Team Pictures on Aug 4th at the FTYF Fields. Cheerleaders will most likely perform at FTYF'S Opening Day on August 4th at noon. 2019 Season Registration is live!